Diana longs to prove herself to her legendary warrior sisters. But when the opportunity finally comes, she throws away her chance at glory and breaks Amazon law -- risking exile -- to save a mere mortal. Even worse, Alia Keralis is no ordinary girl and with this single brave act, Diana may have doomed the world. Alia just wanted to escape her overprotective brother with a semester at sea. She doesn't know she is being hunted. 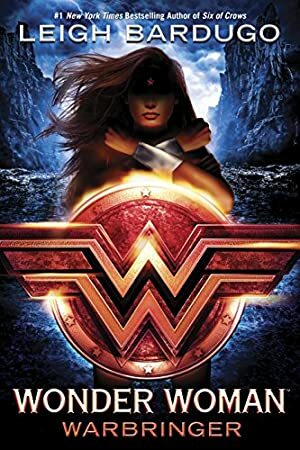 When a bomb detonates aboard her ship, Alia is rescued by a mysterious girl of extraordinary strength and forced to confront a horrible truth: Alia is a Warbringer -- a direct descendant of the infamous Helen of Troy, fated to bring about an age of bloodshed and misery. Together, Diana and Alia will face an army of enemies -- mortal and divine -- determined to either destroy or possess the Warbringer. If they have any hope of saving both their worlds, they will have to stand side by side against the tide of war. We started tracking this book on October 22, 2016. The price of this book has changed 4 times in the past 912 days. The lowest price to date was $1.99 last reached on July 29, 2018. The highest price to date was $12.99 last reached on September 3, 2018. This book has been $12.99 3 times since we started tracking it.